Bangkok is a shape-shifter. It’s every city for everyone. It does the glitz and glamour just as well as it does the sleaze. Bangkok is a shape-shifter. It’s every city for everyone. It does the glitz and glamour just as well as it does the sleaze. For all the culture and history it’s steeped in, it takes its parties (and its shopping) just as seriously. 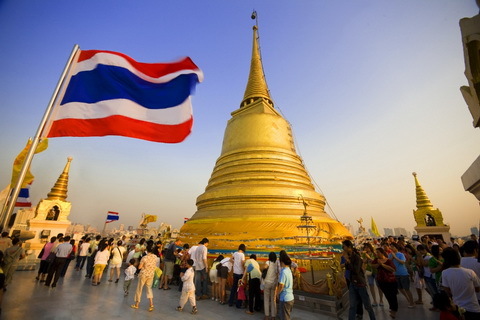 But what we love most about Bangkok – and it’s something we cotton on to pretty early – is its food. To truly eat well in Bangkok, you should forego the restaurants and take to the streets. This is where, if you go with a mind ready to take on the unknown and a palate ready for whatever flavors it will encounter, you will find your nirvana. The Chang Pier is a great place at which to get a taster of all things Thai. Whether you choose to kick this off slow and easy with a plate of slithery, peanuty Pad Thai noodles or experiment with food you don’t quite recognize and can’t say the name of, you’ll find it here. Steaming bowls of noodles in broth, hot satay skewers right off the grill, sticky-sweet desserts – let your nose be your guide as you sate your cravings. Another great way to gain your bearings on the street is to sign up for a food tour – you’ll have the comfort of a local showing you the ropes, explaining Thai-only menus to you and letting you know just what it is that you’re eating. 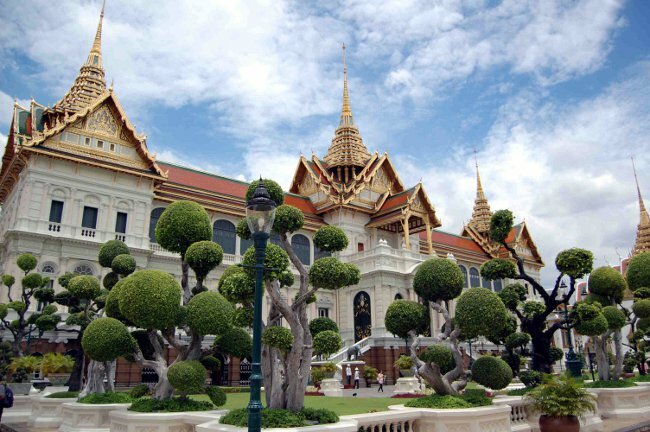 Companies like Bangkok Food Tours offer a range of excursions, from ones that combine a look at the city’s history with its eats, to a night-time exploration of Chinatown and a day spent tasting the wares on offer at the floating market. It would be a sin to neglect Bangkok’s other offerings, though. When your done eating your fill, consider rolling out towards some of the city’s sights – there’s the Wat Arun, or Temple of the Dawn, which will immediately bring scenes from Mortal Kombat to mind, there’s the Grand Palace, made no less beautiful by the crowds hankering for a look, and there’s the Wat Pho, on the opposite bank of the Chao Phraya River. Or get on to the Chao Phraya, and spend some time at the Damnoen Saduak floating market, though more for the photographic opportunities than any real shopping. The famous Chatuchak weekend market is where you can really drop your dough; it’s where you’re likely to find anything you could conceivably think of and a large contributor to Bangkok’s reputation as a bargain hunter’s heaven. 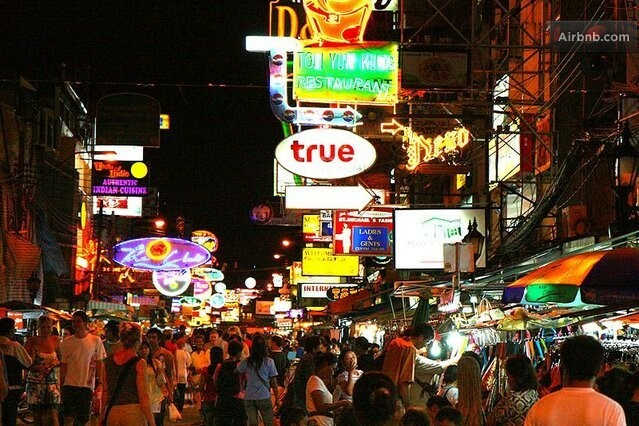 And by evening immerse yourself in the madness of the touristy but incredible Khao San Night Market, where you’ll find anything for the right price.